Hi there! I got myself Freedom’s Pro Lipstick Bare Collection (5 lipsticks) before Christmas. And I’ve only opened it a few days ago. The first lipstick I tried was Freedom MakeUp’s Pro Lipstick Bare 115 Mannequin. In regards to quality, this isn’t what I’d expect a ‘professional’ lipstick to be like. Whilst this lipstick is nicely pigmented, it doesn’t last very long. So yes, it’s clear this is a cheap lipstick. I will definitely continue to use this beautiful lippie, but I know I’ll have to have it with me because it does require very regular touch-ups. 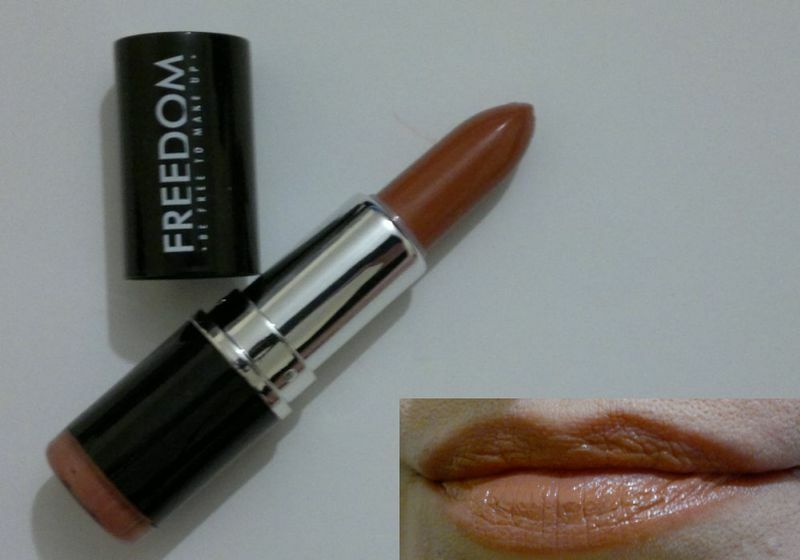 Freedom MakeUp’s Pro Lipstick Bare 115 Mannequin lipstick is available for £1. It’s also part of Freedom’s Bare Lipstick Collection which is £5.